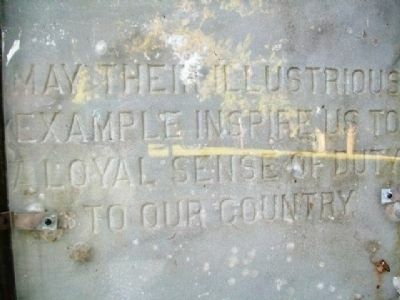 to a loyal senses of duty to our country. Location. 39° 19.474′ N, 77° 44.437′ W. Marker is in Harpers Ferry, West Virginia, in Jefferson County. Marker is on Fillmore Street east of Storer College Place, on the right when traveling east. Touch for map. Marker is in this post office area: Harpers Ferry WV 25425, United States of America. Touch for directions. 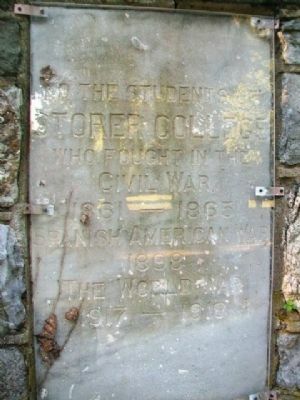 (within shouting distance of this marker); Storer College 1867-1955 (within shouting distance of this marker); Camp Hill during the Civil War (within shouting distance of this marker). Touch for a list and map of all markers in Harpers Ferry. More. 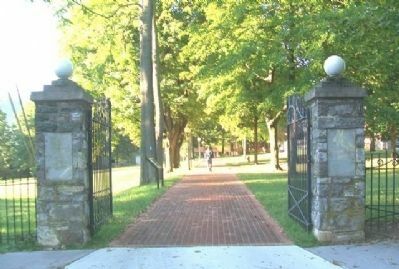 Search the internet for Storer College Veterans Memorial Gate. Credits. This page was last revised on June 16, 2016. This page originally submitted on December 17, 2013, by William Fischer, Jr. of Scranton, Pennsylvania. This page has been viewed 391 times since then and 3 times this year. Photos: 1, 2, 3. submitted on December 17, 2013, by William Fischer, Jr. of Scranton, Pennsylvania.